Google reviews are important for local SEO as they improve credibility, rank, reputation and brand image. 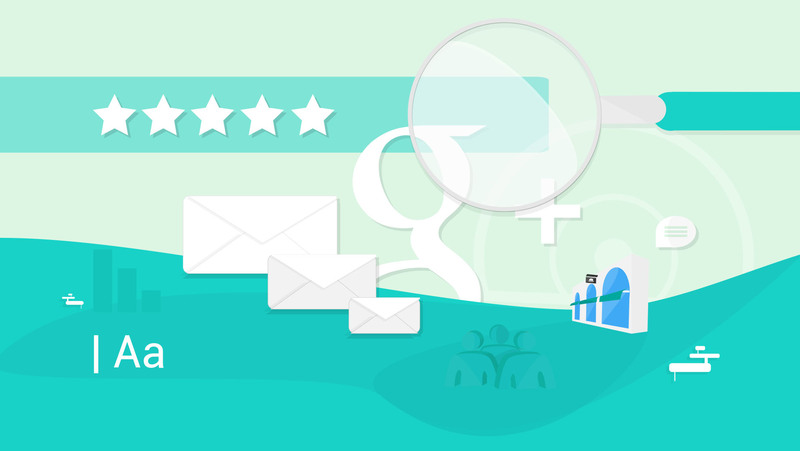 One of the best ways to get more Google reviews is by sending a simple email asking customers to leave a review, as it is a quick and easy method of receiving feedback. It is recommended to send your email to happy customers as they act as the best brand advocates. Do not ask customers who appear upset or dissatisfied as they may leave a bad review and damage your reputation. Send your email as soon as possible when your customer is most happy with your service or product and their positive thoughts are fresh in their minds. Ensure the steps from email to review are as straightforward as possible. You can do this by firstly generating a Google review URL link. To do this, head to https://whitespark.ca/google-review-link-generator/. Simply type your business name, city, and zip/postcode in the “enter a location” field on the map and copy the short URL to your clipboard. You can then share this link with customers in your email and it will take reviewers directly to the review page. Include a clear CTA link to the review in your email and make this the single goal for the reader to make the process as easy as possible. Make the email personal by using your customer’s name and make a personal request to leave a review. Write in a personable and casual tone and test different copy to see which achieves the best conversion rate. Likewise, a plain text email may create a more personal impression, but test this against a HTML version to see which works best. Keep the email short, but be sure to include key points like why you are asking for a review, how to leave a review, how long it will take, and your gratitude for their feedback. Let them know you are looking forward to reading their review, and thank them immediately after they have left it. Thank you for your recent service. We really appreciate your business, support and feedback, and truly value you as a customer. We would love to hear your feedback, and I would be incredibly grateful if you could take a couple of minutes to write a quick Google review for us. This will allow us to improve our service and let others recognise the value we provide. Thank you so much for taking the time to leave a review. Your feedback is highly appreciated and important to us and I look forward to reading your comments. All it takes is a quick email for your reviews to grow and your rank, credibility, and reputation to flourish. Now you’ve mastered how to gain Google reviews, find out how you can improve your small business SEO in just 30 days! Find out more about our SEO services here and don’t forget to follow us on Facebook and Twitter for more marketing tips! What are your secrets for getting more Google reviews? Thank you so much for this template, I was really looking for the right wording for my mailer. I’m glad you found my template useful! I hope it brings you many more Google reviews! I am fairly new on attempting to get reviews for our business. How do I find the link to give a customer for a Google Review? To generate a link to give a customer for a Google Review head to https://whitespark.ca/google-review-link-generator/ and simply enter your business details. Hope this helps you get more reviews! Hi Beth – This info is all great, however the link we have dosn’t seem to open when we use it for some strange reason, you have to copy and past it into a browser you cant just click on the link, any suggestions to use this is? Or what I could be doing wrong? How can I generate a link with the “pre-selected” 5 Star option”? It is not spelt incorrectly. Both are correct, so use whichever spelling based on your own preferences and location. We are based in the UK and have a predominantly British customer base and I write in British English so use ‘recognise’. Whereas if you are an American business with American customers and write in American English, then it makes sense to use the American ‘recognize’ instead. Likewise, ‘spelled’ is the American spelling and ‘spelt’ is the UK spelling. This link doesn’t work correctly for me? It locates the business details all ok but the link generated fails! this was so helpful, thank you so much!